Advancing Your Career in 2019: How to Do it! The new year is now in full throttle, and there is no better time than now to begin determining and mapping out strategies to help you in advancing your career this year. What are some of the most valuable and beneficial steps to take? Keep reading to find out! There is no greater resource to help you in advancing your career than your own social and professional networks. These people are there to support you, and may very well provide you the gateway towards obtaining and discovering new opportunities or promotions. One of the greatest ways to utilize your network is by hosting a professional gathering (maybe even think of it as a party)! Focus on doing so in a casual setting such as a home or restaurant venue so as to keep the atmosphere light and comfortable. Offering appetizers, drinks, or even small activities will help this feel like a fun social outing. To get the most out of these types of events, we encourage you to extend invitations beyond those who you already know! Let those who you have invited invite two or three other people. This way, you will be afforded the opportunity to both strengthen and expand your network. Advancing any aspect of your life often requires extending your level of education and knowledge. In doing so, contemplate your contentment with your current level of intelligence about your general career path, work obligations, title, or role, or even education in general. Have you ever thought about obtaining a new certificate or degree? Potentially taking a few new business courses just for fun? If you’re not at a point where you are afforded enough free time to dedicate to education advancement, try purchasing a novel, subscribing to a podcast or newsletter, or even adding your email to a blog list. Utilizing these daily, weekly, or even monthly resources will allow you to maintain engagement about current events within your specific profession, as well as your entire industry. Joining professional organizations is an invaluable way to meet others like you, identify new job roles and responsibilities which pique your interest, and, of course, continue to expand your network. By advancing your career, you are also making a commitment to advancing your involvement within your industry. Get started now! There are several free resources online dedicated to helping you identify communities where you will fit in and obtain the greatest benefit. We encourage you to start with one of our favorites, LinkedIn! Do you have a mentor? Someone you look up to to guide decisions, career choices and offer general advice? If not, now is the perfect time to designate someone to fulfill this role! In identifying this person, take time to evaluate people within your workplace and life who you look up to as a positive influence and source of growth. If you’re struggling to identify this person, think about reaching out to people who inspire you in an even more casual setting! 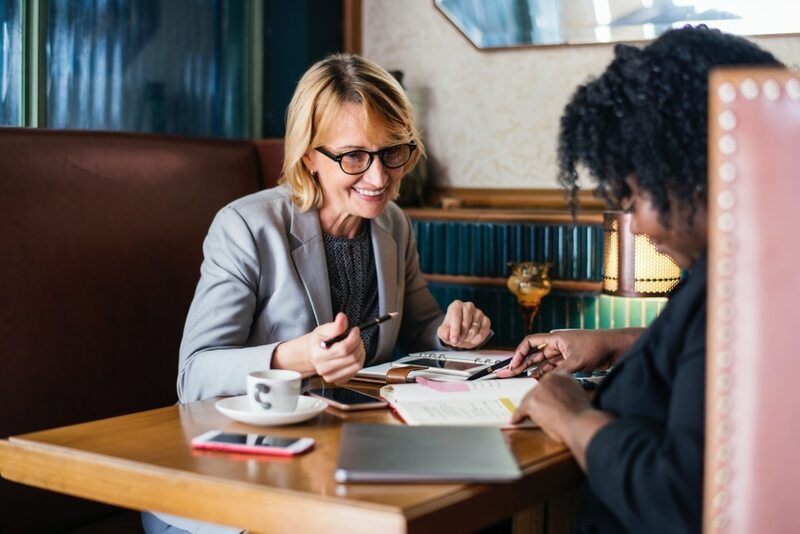 Conducting informational interviews, coffee dates, or lunch meet-ups will help you to expand your network and also find people who may end up as your mentor for the duration of your professional career! Remember, these are only a few of the many ways you can advance your career! We will continue writing blogs to help you do so throughout this year. Wishing you luck and success! Find out how to get back into the swing of things this winter here! https://esquire-recruiting.com/wp-content/uploads/2019/01/adult-american-blond-1282268.jpg 1000 1500 Esquire Recruiting https://esquire-recruiting.com/wp-content/uploads/2017/08/esquire-recruiting-chicago-300x138.png Esquire Recruiting2019-01-17 21:32:062019-01-17 21:32:06Advancing Your Career in 2019: How to Do it!